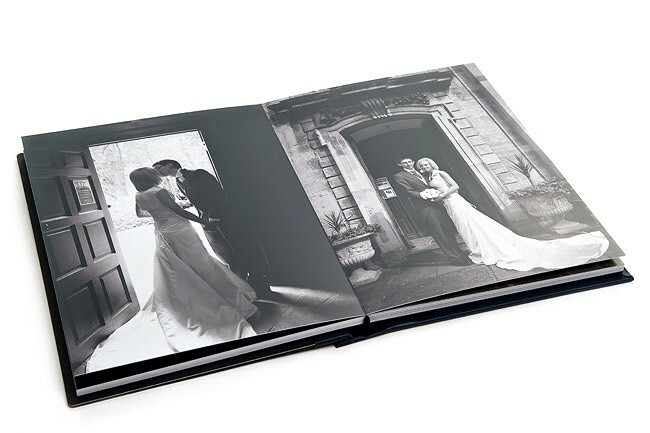 I offer a range of quality wedding albums from the leading manufacturers, including Jorgensen, Loxley Colour and nPhoto. 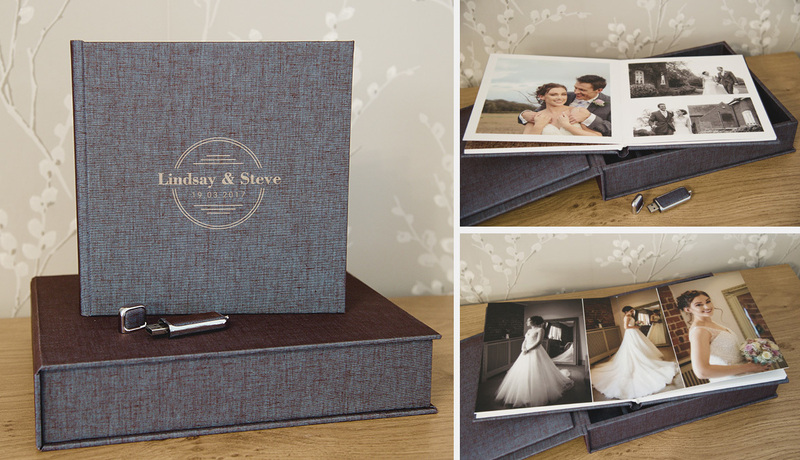 Wedding albums can be tailored to your own design preference. The covers can be wrapped with your chosen fabric in a range of colours. Cover design elements, such as photos can be added along with personalisation including your names and wedding date. 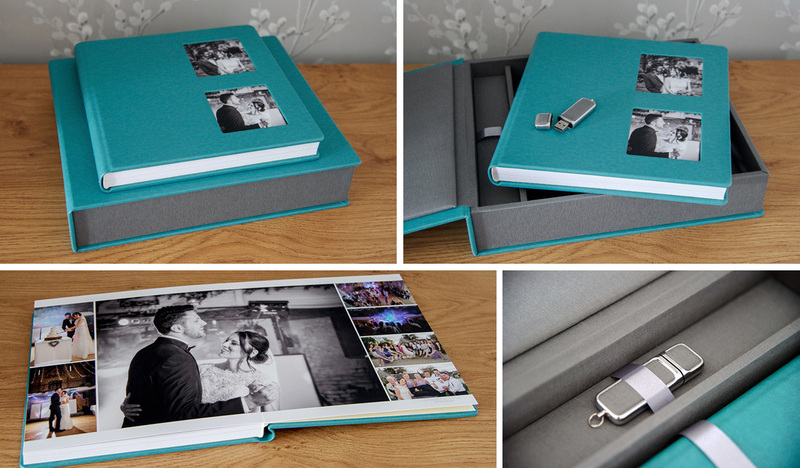 The perfect box set for your wedding day photographs and video slideshow. 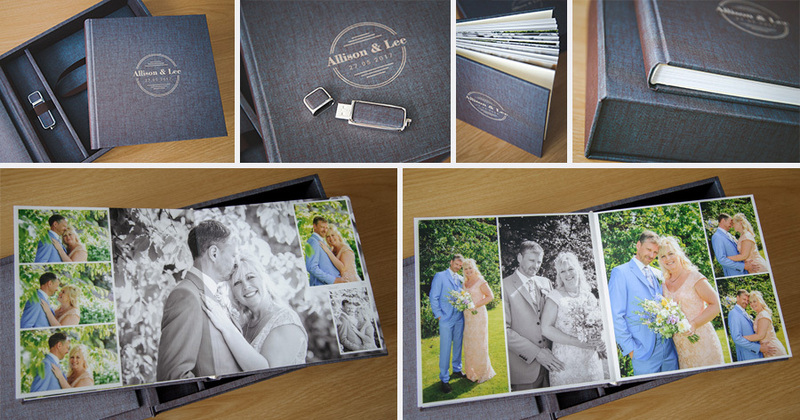 A storybook wedding album presented in a personalised matching box case and USB. The duo box set is available in 14 carefully selected DUO textiles. Their uniqueness is visible at first sight as they appear to morph from one colour to another. 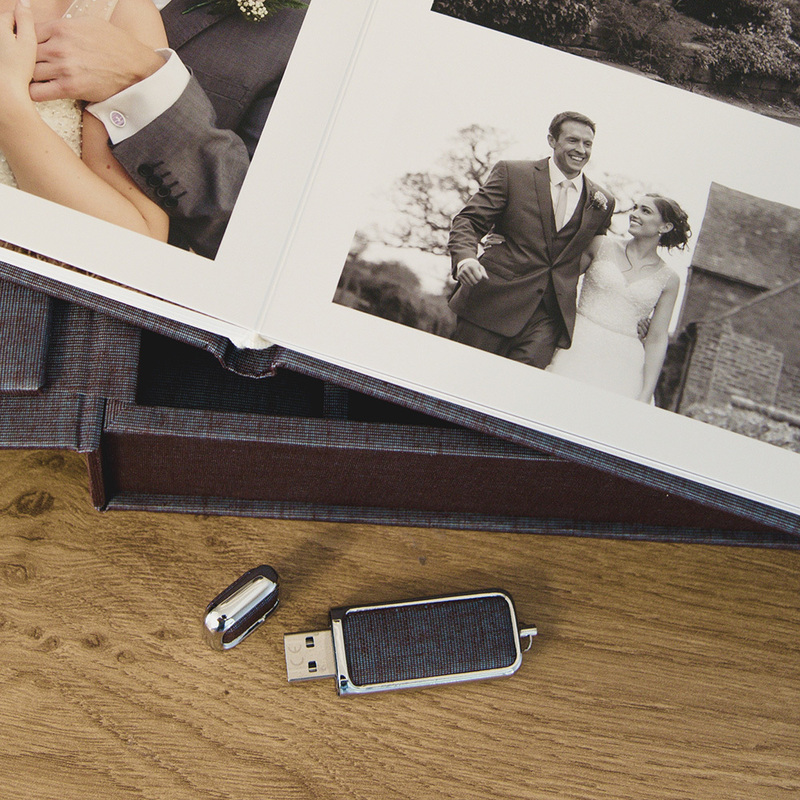 The set includes a personalised album box and features a matching lay flat storybook album and a 16GB USB 3 memory stick for your high resolution images and video slideshow. The albums are available in an 8, 10 and 12 inch size and personalised with your chosen duo material colour and text. View the swatch guide below for further details. The exclusive edition album box set offers more choice of colour options, including eco leathers and textile fabrics. The album and box covers have several designs, such as photo covers with multiple photo arrangements and text design options to further personalise the album. You can view the range of swatches and cover options at the link below. Just like the duo edition, the box set features a matching lay flat storybook album and a 16GB USB 3 memory stick for your high resolution images and video slideshow. The albums are available in an 8, 10 and 12 inch sizes. 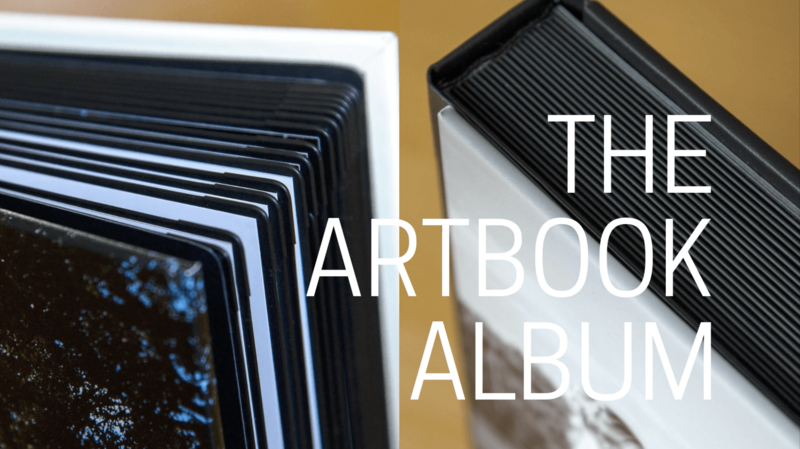 The Artbook Albums are similar to the Perfetto album (see below) with seamless page designs, but are cleverly bordered with a traditional style taped edge which further enhances the storybook page layouts. 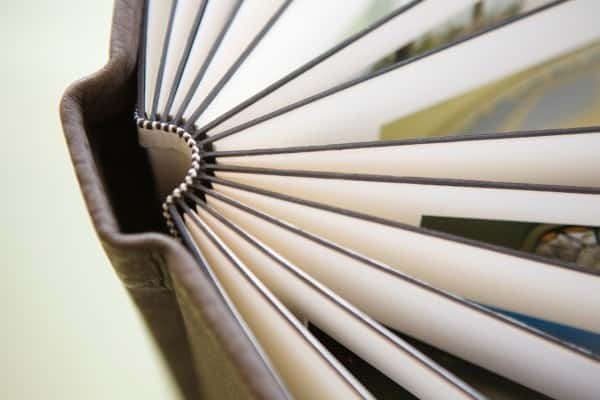 The pages also feature metal corners for further style and protection. 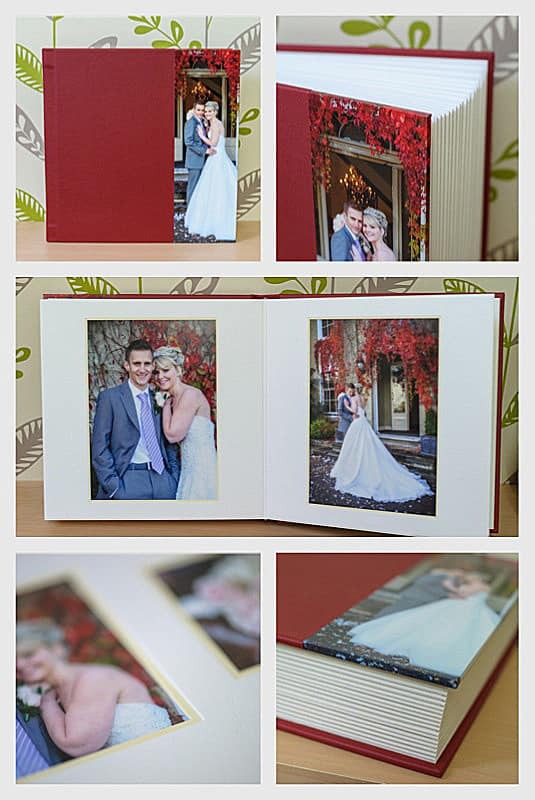 Artbook Wedding Albums are individually designed and planned according to your choice of photographs. Their covers are available in a variety of colours and fabrics including full page printed covers. 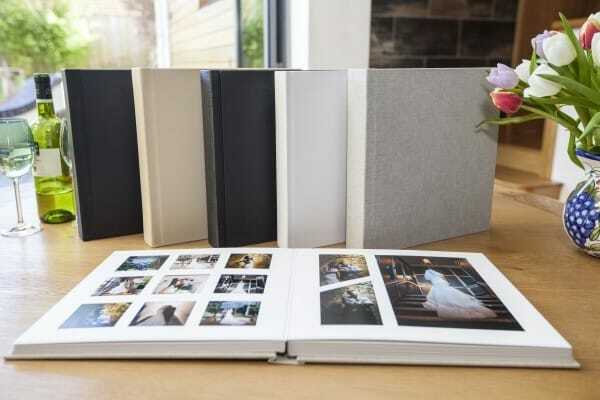 As an alternative, Artbook wedding albums can also feature a magnetic hinged front cover with an embossed cover photo. Play the video below for some more examples. 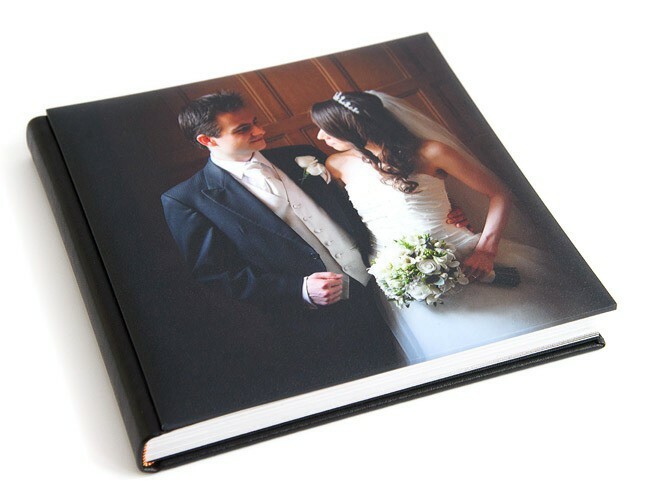 The Artbook wedding album is available in a variety of sizes and capacities allowing for a wide range of content, plus as with all our wedding albums, they are supplied in a presentation box for safe storage. The cover swatch guide is available here. 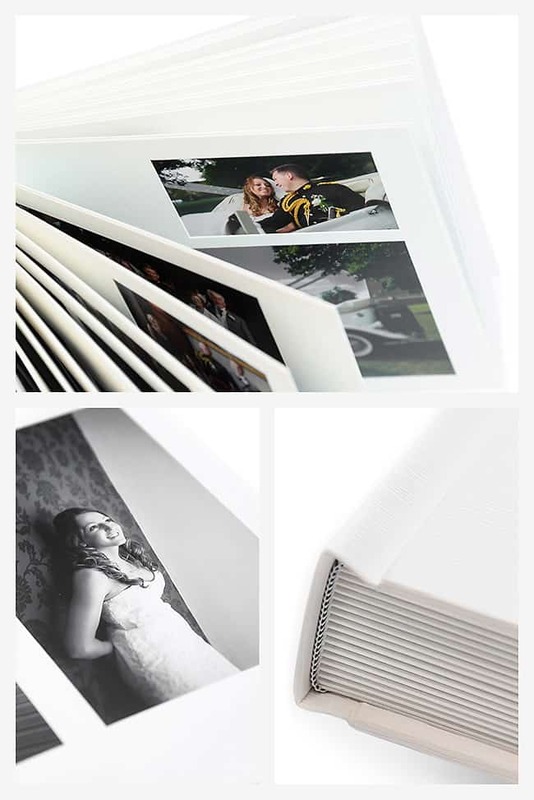 The Perfetto range of wedding albums is true to its name, ‘simply perfect’, offering a seamless design across the spreads. Cover options includes an acrylic photo cover or an engraved brushed aluminum cover. The pages are flush mounted edge-to-edge, and the prints are made using traditional photographic paper. As standard the page spreads are in vibrant lustre finish and a punchy metallic option is also available. 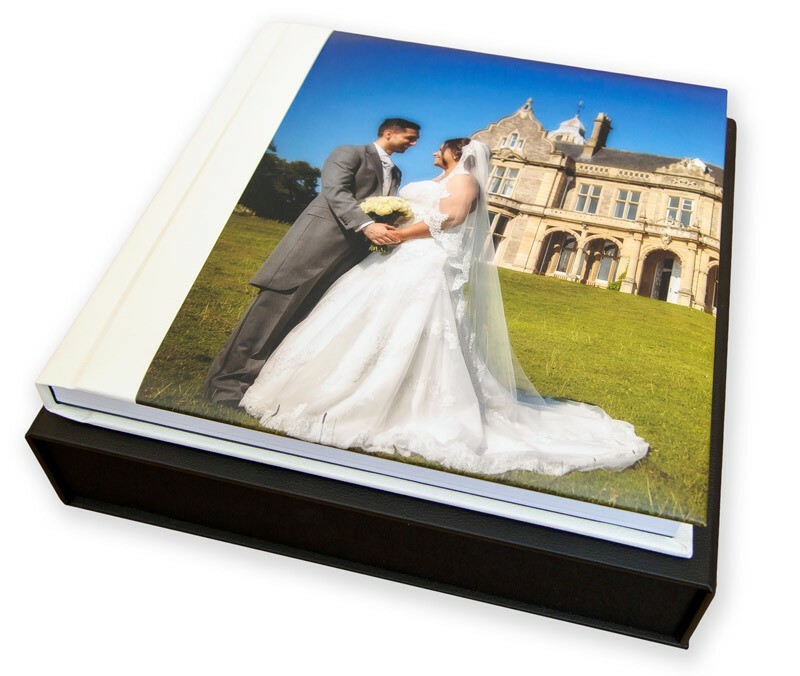 The wedding albums are supplied in deluxe magnetic hinged presentation box for protection. You can view the wide range of cover options here. 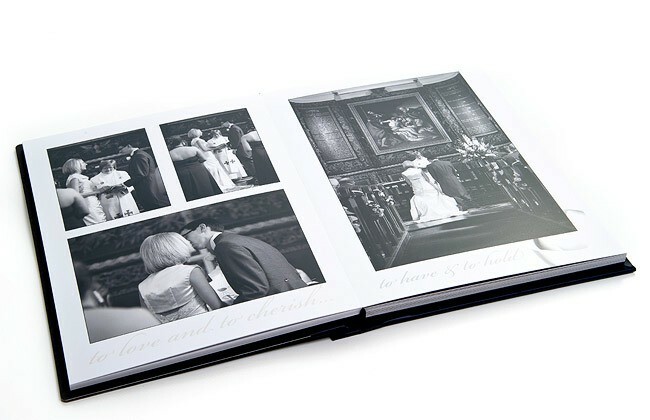 Investing in a Storybook wedding album will ensure your favourite wedding photographs are showcased in a modern, beautifully designed, hand finished wedding album which will remain in your family for decades ahead. 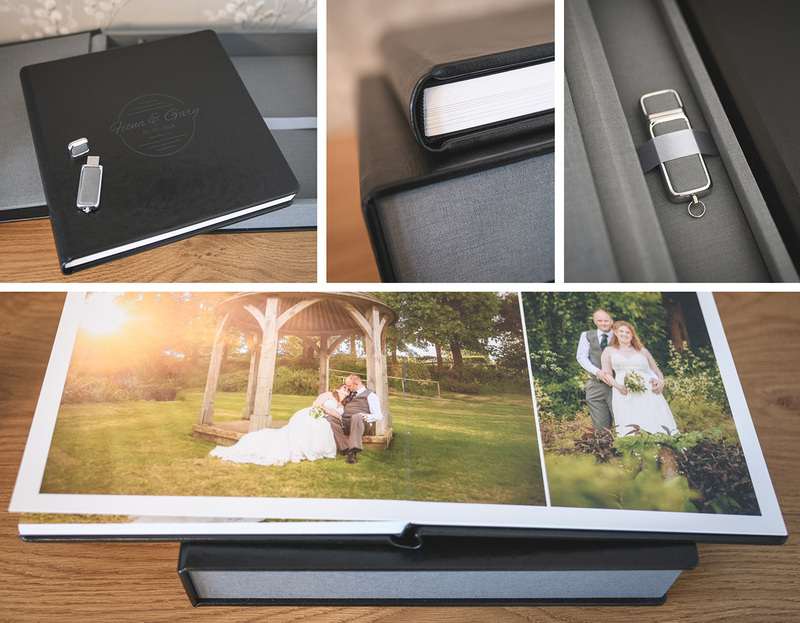 Each album is carefully designed and will re-tell your wedding day from its start to the end by incorporating the main events, details and all important atmosphere from your wedding day. Storybook wedding albums are individually designed and planned according to your choice of photographs, offering elegant and creative page layouts… you’ll love your album. We guarantee it! Matted books have a more formal, traditional feel. They feature photographs that sit recessed into the page and are surrounded on all sides by a thick mat, similar to a printed photograph in a matted frame. 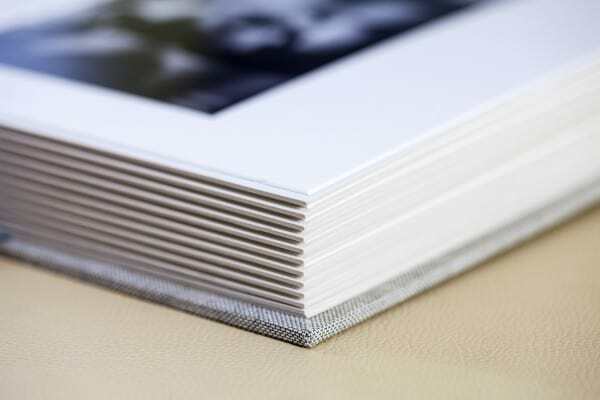 Matted books can display single or multiple photographs per page. The mats are custom cut and laid over the photographs, securing them in place. Mats sit slightly in from the edge of the page for a stylised finish. Choice of regular hessian, bevel core board or twin mats are available. The Jorgensen Studio matted album is a handcrafted traditional style album from the leading manufacturer Jorgensen who are based in Australia. The albums are available in a selection of colours (Black or Ivory Leather, Black or White Sumeria Vinyl and Oatmeal or Storm Linen). The pages features custom cut mats which frame the photos. The page mats are computer cut from charcoal or white linen textured board. The pages are custom designed by myself with your images for the perfect layouts. The Jorgensen Art matted album is a luxury handcrafted traditional style album from the leading manufacturer Jorgensen who are based in Australia. These are made to order. The Art album is similar to the Studio album, but offers far more customisation with the overall design. This includes it’s flexible page numbers and size options for complete freedom. 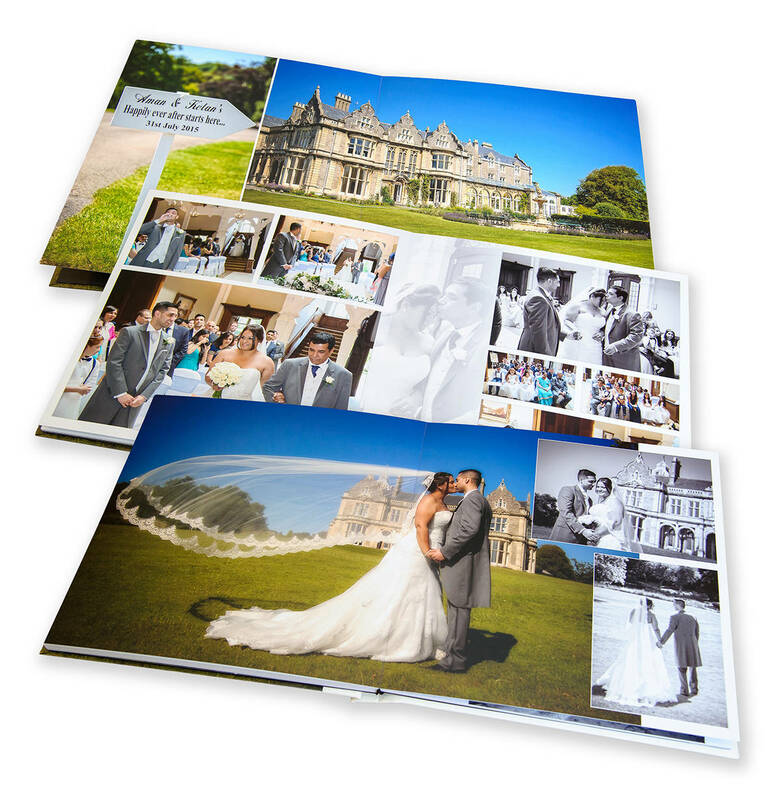 These albums are available in an extensive range of colours and material. Full and part photo covers are also available along with personalisation of your names or wedding date. Our storybook album is BEAUTIFUL! Stewart designed it perfectly, far better than we ever imagined. Viewing it is like reliving our special day!